The items in your home should be made from the finest quality material available, and that is the exact standard in which Nine Space produces their line of products. Created with a passion to fill your home with as sense of beauty and completeness through design and material quality, Nine Space brings together the use of magnificent bamboo to bring you a line of products that is second to none. From top of the line bath towels, soft and luxurious sheet sets, and cozy, warm throw blankets to toss on your couch, Nine Space provides some of the most luxurious additions to your home, with sheet sets using magnificent 70/30 bamboo cotton sheets sets that rival the softness of the highest thread count silk and cotton sheets available on the market today. adding a touch of comfort to your bedding, these products from Nine Space are exactly what you are looking for to complete the space. Is your bathroom lacking the accessories to make it both more stylish and highly efficient as well? Our collection of bathroom accessories can help take it to the next level. 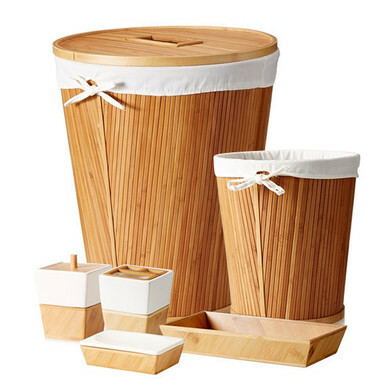 Whether you are in need of a wastebasket, a laundry hamper for your clothes, a tray to set various items, a new toothbrush holder, or a stylish soap dish for your shower, you can find it all in our collection of outstanding Nine Space materials. As far as your bedroom is concerned, don't skimp on the quality of linens you are sleeping on at night. Nine Space bamboo sheets are some of the softest you can find available on the market today. With a softness that rivals the highest thread count cotton sheets around and hypoallergenic, odor-free, moisture-wicking capabilities, this is one of the best all-around materials you can add to your bedroom. So if you are looking for luxury and quality without having to break the bank, our selection of products from Nine Space is exactly what you are looking for.